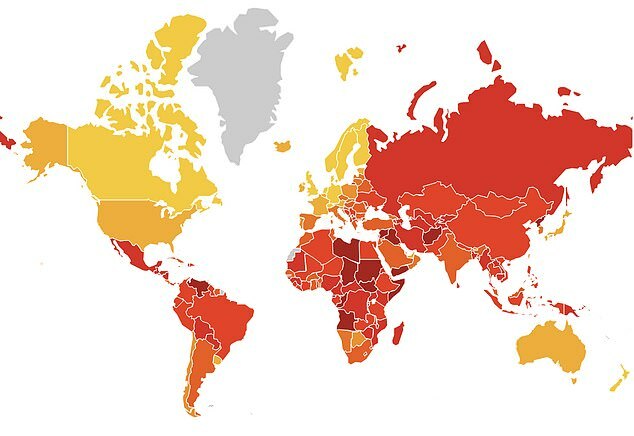 Somalia is the most corrupt in the world, Denmark the least, while America's falling score is a 'red flag', according to a global corruption watchdog. 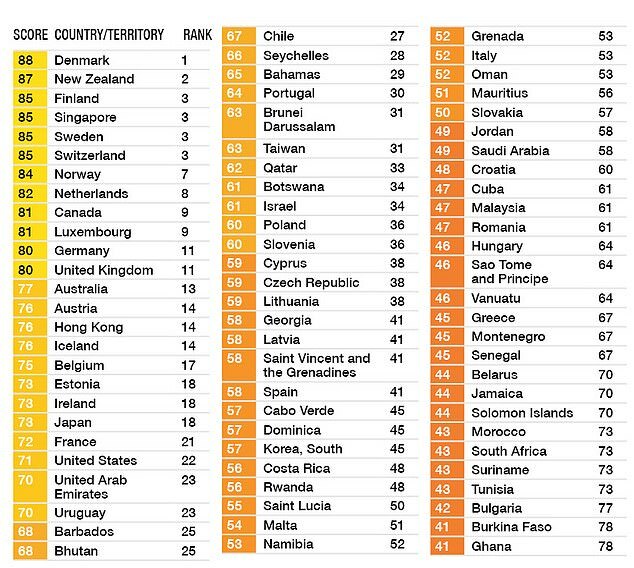 Transparency International highlighted Hungary and the United States in their Corruption Perceptions Index for 2018, with America being knocked from the top 20 'cleanest' list. 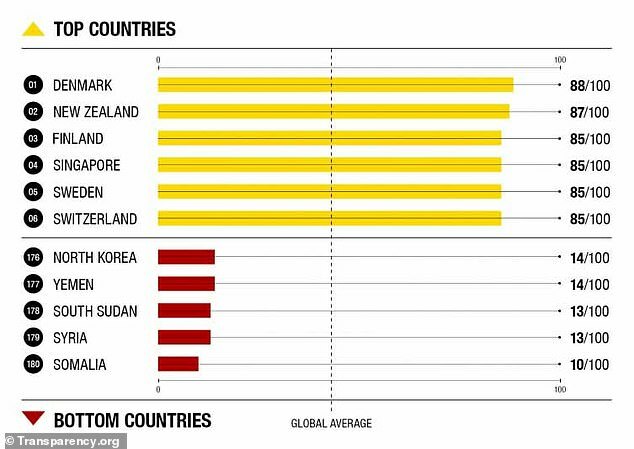 Trump's America lost four points and dropped out of the top 20 least corrupt nations for the first time since 2011, while Hungary's politics has taken on more autocratic overtones, according to the researchers. 'A four point drop in the CPI score is a red flag and comes at a time when the US is experiencing threats to its system of checks and balance, as well as an erosion of ethical norms at the highest levels of power,' the Berlin-based organization said. Zoe Reiter, the watchdog's acting representative to the US, said they had serious concerns over the Trump administration but that corrupution had been a mounting problem for years. 'Conflict of interest wasn't a new problem, but it was illuminated in its glory when you have someone who is basically breaking norms. 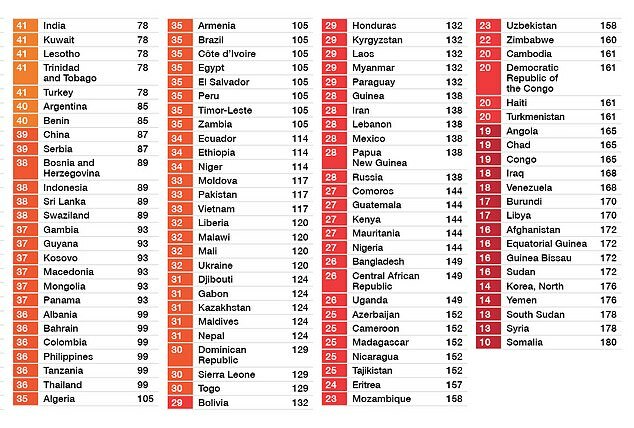 At the same time, the report cited Freedom House's annual democracy survey, noting Turkey was downgraded from 'partly free' to 'not free,' while Hungary registered its lowest score for political rights since the fall of communism in 1989. 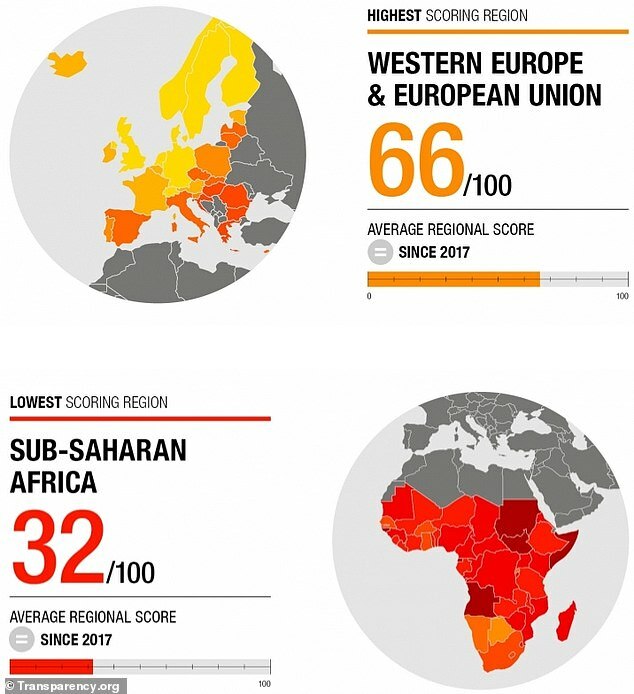 The ratings reflect the 'deterioration of rule of law and democratic institutions, as well as a rapidly shrinking space for civil society and independent media,' the organization said. 'Our research makes a clear link between having a healthy democracy and successfully fighting public sector corruption,' said Delia Ferreira Rubio, the head of Transparency.